2019 We are all very excited to be looking forward to the upcoming season! Liane and Cindy our newest horse bought at the Monart Sales in Ireland November 2016 as a 3 year old has been getting fit over the winter and has been out to training shows in readiness to start her BE Eventing career. We hope to be at our first event at the beginning of March 2019 so not long now! 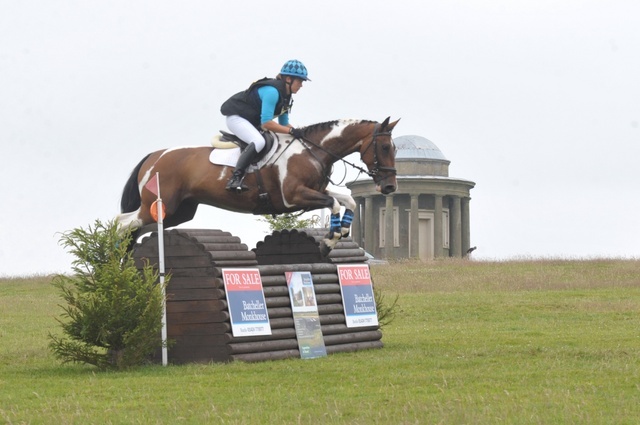 During 2015 and 2016 Liane and Freddie were 2* eventing and are continuing to upgrade to Advanced. Tragically Freddie passed away in 2016 this came as a great shock and it was with much sadness to lose such a talented horse. 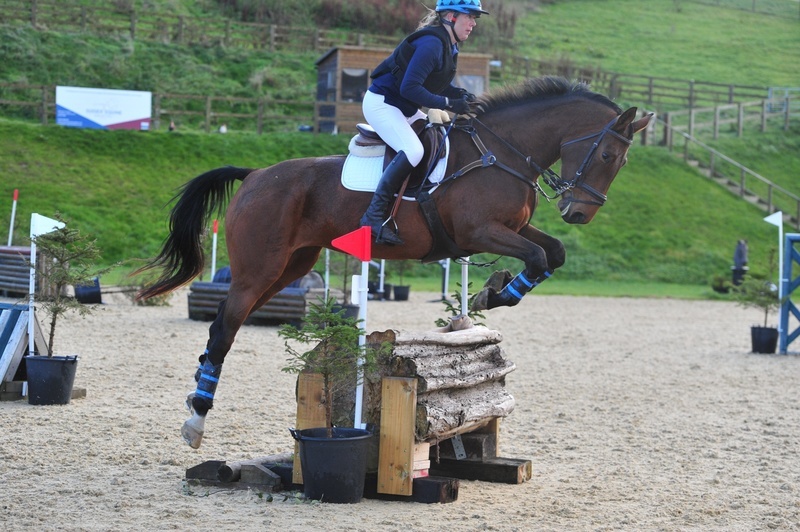 We are now starting the 2015 Eventing Season, please see individual horses pages for their progress……. It was a very steady start to 2014. We were all apprehensive as 2013 ended abruptly due to Liane’s injury. 2014 couldn’t of been more different, although a slow start Liane had worked very hard over the winter getting the horses fit, in preparation for the season. I think that Liane has now bonded with all the horses extremely well especially Freddie who doesn’t bond that quickly. Freddie and Liane are now making an extremely good partnership which is exactly what Freddie needs. With him getting 2nd at Wilton Intermediate and now he will be competing in the Intermediate Championship at Gatcombe Park in August 2015. Also we are hoping to move Freddie up to Advanced Level middle to late 2015. It is a very exciting time for Freddie and Liane. Millie went extremely well this year and we will be moving her forward during 2015. We are looking forward to some very favourable results. William started 2014 extremely well, every time he went out he was always in the top 5! and winning his class on several occasions. Unfortunately in August when competing at Firle although he came 5th overall he had a ligament injury. Fortunately, it was picked up very quickly by Liane and the vet was on site and in attendance within an hour. Unfortunately now he is on box rest together with working strictly to a recovery programme. He has had stem cell therapy because it was caught early and as he is very young, we are quietly optimistic that he will come back into full work but, it is a very long process. Priors Farm, Duncan Harrison has been in attendance from inception and is keeping a watchful eye throughout his recovery programme. Lets all keep our fingers crossed. Without a doubt William is a star in the making! Liane was devastated. As you can see a roller coaster year. We will keep fighting on and remember that anything is possible. For our updates, please keep watching our individual pages. 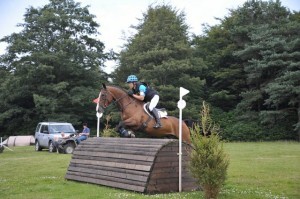 William was backed by Liane in October 2011, proving very quick to learn. He worked well in the school and started hacking out with some of our older horses. He quickly picked up the basic aids and was jumping a small course after just 3 weeks under saddle – he showed a really natural and careful technique over fences at this early stage.He was then turned away to give him some time to mature. In late 2012 we brought him back into work and he started his eventing career in the spring of 2013. Unfortunately for various circumstances (rider injury, abandonments, etc) he hardly competed at all for the rest of the season. In 2014 he has been able to have a much more productive season so far and has truly excelled! His natural scope with his jumping had ensured he has not been outside the top 5 in BE classes this year, with 2 wins under his belt already in his short career. Millie is our homebred mare and her dam is our Oakfields Rococo, who in her time was a very successful horse. Millie is also the half sister to Freddie who Liane is currently competing. Millie was backed in early 2011 but then turned away for nearly a year. 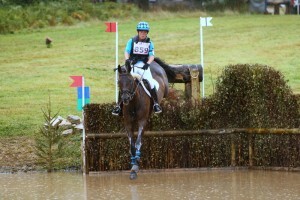 Over the winter of 2011/2012 Liane began schooling her and introducing her to some small show jumping courses at home. 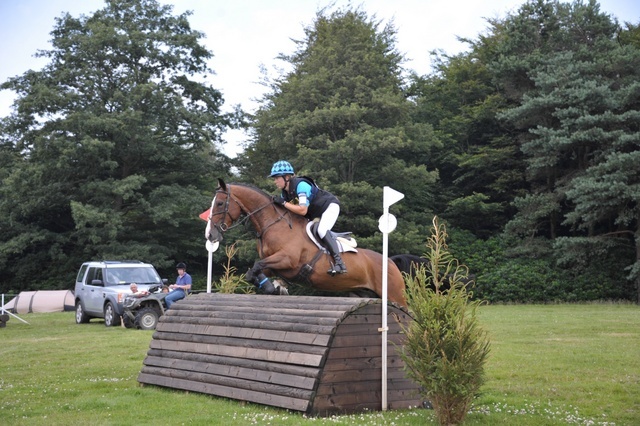 Millie then spent the summer of 2012 going all over East Sussex visiting cross country courses, and show jumping venues to gain the experience that she needs to become an event horse. She has gone to lots of local shows and is showing real potential. As well as being given all the opportunities a youngster could desire by using our excellent facilities here at Hurstwood Farm. She finished 2012 by competing at her first BE event at Pulborough where she had a strong dressage and xc to finish just out of the placings in 11th out of 34.